Topic: Anyone going to GDC? Is anyone going to the Game Developer Conference in San Francisco this year? My company is sending me and I figured I might get to meet some of you there. Let me know if you are planning on going so I can pm you for more details! 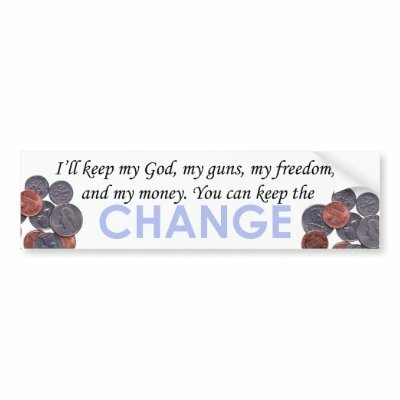 Topic: You keep the change! Hey guys.... I thought some of you might get a kick out of this bumper sticker. I want to buy it lol! Topic: Full QoobTris Source code has been released! Full QoobTris Source code has been released! Hey guys. I just posted an updated version of QoobTris. Basically it has some bug fixes and I finally added a manual. So now you can see all the controls and where they are mapped on the keyboard and Xbox 360 controller. You can download the latest version of QoobTris at the following url. m Enjoy! At work, I am a CryEngine2 engineer. So I use "Flow Graph" pretty frequently. He is very similar to Unreal's kismet. Hey Mene-Mene. Thanks for the criticism. I think you are right actually so I just changed the rendering engine a bit. Does this look better? Hey guys. I just recently wrote my own particle engine from scratch and integrated the QoobTris engine with Lua. Thought u guys might like to take a look. I feel like I am sinning or dissappointing GOD when playing a game that blasphemes His holy name. Ireally want to keep playing this game but I can't justify it when I hear God's name being blasphemed. PLEASE HELP! Blasphemy in my game!? What would you do?